The BULLITT pays homage to the 1968 Mustang GT Fastback driven by Steve McQueen in the original motion picture, and is finished in Dark Highland Green, with a fastback body that is devoid of any external badging. 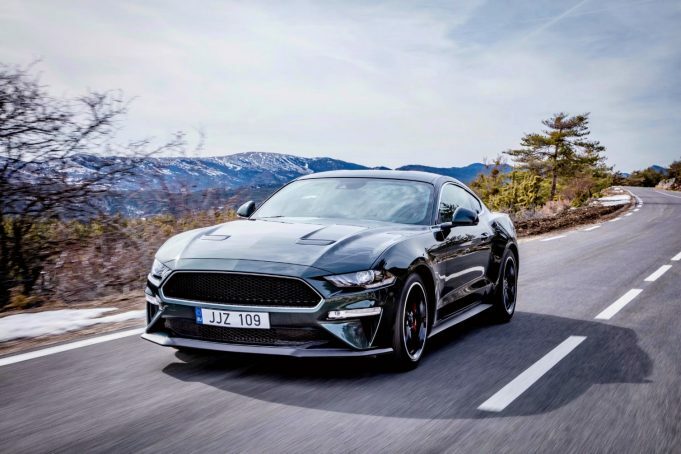 Just 700 individually numbered BULLITT Mutangs will be available in Australia, with each one featuring a 345kW 5.0-litre V8 engine, producing 556Nm of torque, and mated to a six-speed manual transmission with rev matching. Torq-Thrust style black 19-inch alloy wheels, Red Brembo brake calipers and chrome window trim enhance the modern good looks of the Mustang; while inside, each example carries an individually-numbered plaque, cue-ball style gear-knob and BULLITT badging. Motorclassica 2018 will take place over four days, from October 12-14, at the World Heritage-listed Royal Exhibition Building in Carlton, Melbourne, with 550 vehicles across 30,000 square-metres of exhibition space. Deliveries of the Ford Mustang BULLITT will begin in Australia in October 2018. It i priced at $73,688 plus on-roads. The price does however already include Luxury Car Tax.